MPR Says: "The Best Kind of Tape"
"A must have on any type of production. It’s well made, strong, incredibly useful and professional. It’s like Duct tape but you can tear it easily and peel it off of surfaces without removing the paint or leaving behind a sticky mess. You can secure cords, stick up gels, use as marks and so much more. Gaff tape works on all different types of surfaces, even carpet. " 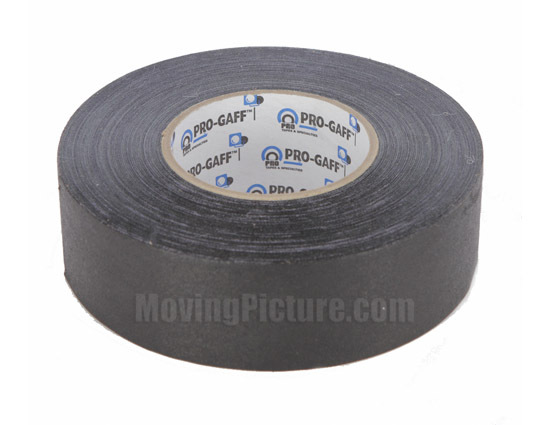 High strength vinyl gaff tape from Pro-Tapes has a matte finish and a high performance adhesive system. It can conform to irregular surfaces and is waterproof, abrasion resistant, and has a smooth controlled unwind.